We specialize in the finest professional grade sealants including polyurethane sealants, high performance sealants, polyether sealants, caulks, adhesive sealants, high performance caulks, expansion joint sealants and specialty sealants. Popular items include Duralink, M1, Novalink, Novalink SL, NP1, NP2, SB-188, Silicone Sealants, MasterSeal SL1 & SL2, MasterSeal NP 150, MasterSeal NP 125, TX1 (textured) and Weathermaster sealants in 200 colors. Our exterior grade high performance sealants are manufactured by the worlds leading suppliers including American Sealants, BASF / MasterSeal, Chemlink, Franklin/Titebond, Lucas, Silco and Surebond. Our sealants and caulks are designed for the toughest applications including roof sealants, foam roof sealants, RV roof sealants, metal roof sealants, metal siding, log homes / cabins, extreme environments and all types of window sealants. Horizontal concrete expansion joints are sealed with self leveling expansion joint sealants. Sonneborn SL1 / SL2 and Novalink SL are most popular. Lucas 6600 Universal is great for smaller joints, up to 3/8 wide. For up to 3 inch wide joints use MasterSeal SL2. Very large expansion joints use expansion joint covers. Backer Rod is used together with SL1 and SL2 for expansion joints around pools, driveways, etc. Backer rod is also recommended for a Proper Joint Design using most sealants. Novalink SL is great for lower temperatures, faster curing and wider expansion joints. Soft backer rod is used with sealants in vertical building wall expansion joints as well as log cabin chinking. Backer Rod Installation and Sizing Information. How much sealant? See our Estimating Guide. Our sealants and caulks have been tested in extreme conditions and are designed to provide the best adhesion and sealing to a variety of materials. Their long term performance is guaranteed by the nation's best manufacturers. And we can ship small or large quantities cost-effectively and quickly to most any location worldwide. 1-Part Pourable liquid pitch-pan, pipe and penetration sealer. ASI-335 RTV Neutral Cure Silicone Sealant. Low odor. Colors. Great adhesion. Not paintable. ASI-502 Acetoxy RTV Cure Silicone Sealant, in colors and translucents. ASI-Aquarium Aquarium / Underwater Sealant, in clear or black. ASI-600 Very High Temperature Silicone Sealant, Red color. Butyl Rubber Butyl Rubber Sealing Tapes: Self adhering butyl rubber in a double-sided tape. For metal roof seams, RV roof trim, window glazing, skylights, etc. Doublestick Makes gaskets or permanently seals any two materials. Not a structural adhesive. Seals underwater if needed. Duralink Excellent. Designed +/- 50% joint movement AND superior adhesion to all types of substrates including metal roofs, metal seams, Kynar finish sealant, vinyl siding and other tough adhesion substrates. Non-staining to marble etc. Stocked in popular colors. USDA compliant. Quick Curing. Guns in low temps. Solvent free. Paintable. Datasheet. Eco-Flex 9500 Polyether Sealant, Lower cost, 26 Colors, easy to apply. Paintable, USDA compliant. Epolith Epoxy 2-part joint filler for high-traffic control joints. Lower cost. USDA compliant. Lucas 5500 Hybrid Urethane Self-Leveling, Pumpable or Brush Grade Seam Sealer / Flat Roof Repair Sealant. Adheres to wet surfaces and to all types of surfaces. Fiber reinforced, 1600 PSI Tensile, 300% elongation, moisture curing, low odor, 2 colors, Paintable. Lucas 6600 Thermoplastic Edge Sealant, and small joint sealant, Self-Leveling. Seals cut edges of all types of membranes and general purpose flashing sealant. In clear and 14 colors. Maximum 3/8" bead, 1000% Elongation, 400 PSI tensile. Solvent based. Cures with a very dirt pick-up resistant surface. Paintable. Lucas 8600 Edge Seal, Lap and water cut-off sealant. Primarily a water cut-off for TPO and EPDM. Self-Leveling, Butyl based. White or Black. +/-25% movement, 600% Elongation, 300 PSI Tensile, 54% solids. Paintable. Lucas 9600 Hybrid Urethane Sealant, Vertical Grade, Lower cost NP1 alternative, 2-inch joint, +/-35% movement, 400% Elongation, 400 PSI Tensile, moisture curing, cold weather application capable, low odor, 7 colors, paintable. M1 Suitable for most all roofing materials including EPDM, Hypalon, TPO, asphalt shingles, fiberglass shingles, and windows. Paintable. Structural grade. Compatible with asphalt based products. Can be applied and used in wet environments. USDS compliant. Stocked in black, gray, limestone and white. M1-CR Cleanroom Grade of M1. Near-zero outgassing. For wafer fabs, hospitals, vacuum and critical environments. MasterSeal CR 125 (Sonomeric) Self-Leveling Concrete Expansion Joint Sealant. One-Part Polyurethane for Airport Runways / Chemical Environments. MasterSeal CR 195 Security-Grade pick-proof sealant. For prisons, and high-toughness situations. Canadian and USDA approved for meat/chicken processing areas. Adheres to Granite and Marble. Great pool wall to deck sealant. Stocked in white and limestone colors. Paintable. MasterSeal NP 150 For very high-expansion joints. Use on high movement joints. Pre-tinted in 12 standard colors. MasterSeal NP 125 Clear (translucent) structural adhesive and waterproofing sealant. Very strong, fast curing, excellent adhesion. Paintable in about an hour. Expansion joint capability +/- 12%. Used for adhering / repairing roof tiles, snow guards, windows, automotive trim, truck bodies, windows. Not recommended indoors (solvent odor). Metalink Aluminum filled Silicone sealant (solvent free & odorless) with adhesion promoters. For exterior/interior applications. Matches colors of duct work, galvanized metals, sheet metals. NovaTuff C300 Paste-grade flexible epoxy sealant for extreme environments, roof screws, chemical/jet fuel, roofing seams. Above/below grade. NovaTuff C350 Self Leveling grade Flexible epoxy for extreme environments, chemical/jet fuel, repair of hard to access areas, roofing seams. Novalink 35 All around exterior/interior and roofing sealant. Good in colder weather. Quick curing. Solvent Free. Odor free. Pre-tinted in popular colors. Paintable. Also in CLEAR. 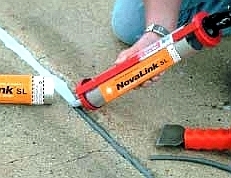 Novalink SL Self Leveling Expansion joint sealant. Odor free, non-shrinking. Use up to 1" wide joints. Concrete and Asphalt compatible. Pre-tinted in popular colors. NP2 Tintable exterior sealant. Can be accelerated for quicker cure or application down to 20F. 2" joint rated. Great for color matching exterior colors on window frames, stucco, expansion joints, etc. Available in 40 standard colors and 470 Custom Colors. SB-170 Clear Multi-Purpose Quick-Cure Silicone Sealant. RTV Neutral Cure silicone, low odor, application temperature down to -20F. 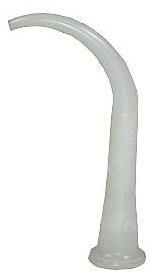 SB-140 Butyl Rubber Sealant, White. Adheres to most everything. Stays VERY flexible after cure. Adheres to TPO / PVC / EPDM. SB-188 Silicone, High / Low Temp (-75F to 500F), Quick Curing. High Performance, high adhesion, available in red and clear. SB-190 Super Strength (2000 PSI) Sealant. Pick Proof. Clear. Not for expansion joints. Great for Snow Guards. SL1 MasterSeal Expansion joint / general sealant. Self leveling, one-part,pre-colored. Use in expansion joints less than 1.5". SL2 Tintable self leveling wide expansion joint sealant. Two-part (must be mixed with tint package). Available in 40 standard tints and 470 Custom Colors. Recommended for expansion joints up to 2-1/2" wide. TF100 Polyurea 2-part super-duty warehouse control joint filler. TX1 Textured in Color. Its NP-1 chemistry and cures like sanded grout or stucco. Use on stucco as a grout or anywhere a slight texture is needed. Pre-tinted in 11 colors. Paintable. Weathermaster Exterior, Roofing / Siding / Window / Door Sealant in 200 colors, from Franklin Titebond. Backer Rod (Use in wide and deep joints before sealing / caulking). Primers (specialty primers for use with sealants). Saw Blades / Tuck-Point Blades (for cleaning joints or crack chasing). Spatulas / Joint Finishing Tools (professional grade joint tools). Also see our Adhesives, Penetration Seals and Roof Repair Sections for similar items. Pantone PMS Color Ideas. General Specification for Sealants and Joints. Use either butyl sealant conforming to ASTM C-1085; latex sealant conforming to ASTM C-834; polyurethane or polyether or silicone sealant complying with ASTM C-920. Lucas 5500M Synthetic Rubber, Mastic Grade, Brushable. Used for repairing metal roofs and trailers, built-up roofing seams, gutters and metal roof seams. 56% Solids, 1600% Tensile, 300% Elongation. Maximum thickness is 1/4". Gray color. Lucas 5900 A Clear Brushable Sealant, Based on tough Styrene Ethylene/Butylene Styrene polymers with solvent. A clear brushable sealant intended for waterproofing and fiberglass roof panels and translucent skylights. 39% Solids, 1800 PSI Tensile, 1000% Elongation. High VOC. Lucas 6600 Universal Sealant in 14 colors. High-performance, multi-purpose thermoplastic elastomer sealant for Metal Seams, Sidings or Roof Flashings on all types of substrates. Cures with a very dirt resistant finish. Vertical Grade. Suitable for up to 3/8" wide joints. 400 PSI Tensile, 1000% Elongation, 69% Solids. Lucas 6600 SL Self Leveling grade of Universal Sealant. Clear or WHite. High-performance, multi-purpose thermoplastic elastomer sealant for membrane seam edges and cut edges on TPO, PVC, EPDM (small areas). Cures with a very dirt resistant finish. Suitable for up to 3/8" wide joints. 400 PSI Tensile, 1000% Elongation, 69% Solids. Lucas 6900 Universal Clear Sealant with Microfiber Reinforcement, Brushable Grade, 1G cans. Suitable for all roofing types. 45% Solids, 500% Elongation, 1000 PSI tensile. Lucas 8600 Edge Seal. Lap and water cut-off single-ply mastic for EPDM and TPO. A low modulus butyl rubber based self leveling sealant. Fast drying. 54% Solids, 600% Elongation, 300 PSI tensile. Lucas 9600 Similar to M1, in 7 colors. 400% Elongation with 400% tensile and joint size to 2", 100% solids, non-shrinking. Its recommended for roofing membranes (EPDM, TPO modified bitumen and PVC type materials). TPO Primer first on TPO. M1 is recommended for roofing membranes made from EPDM, TPO modified bitumen and PVC type materials. TPO Primer first on TPO. For shingle adhesive on fiberglass / asphalt shingles M1 structural sealant is recommended. M1 has 400 PSI tensile and 400-450% elongation. M1 is also a great general purpose sealant. M1 can also be used to create containment seals between walls and floors of storage rooms for oil based products. For example, between a metal wall and concrete floor. M1 will cure under water and can be used for emergency wet repairs, applying pool tiles. Its important to wire brush then "work" the product into the surface to create good adhesion. MasterSeal NP 125 (formerlay Sonolastic Clear 25) s a great translucent-clear, non-staining sealant for roof tiles, glass & window, tile, siding, car windows and structural adhesive applications. Very fast curing. It is used in the auto industry as a trim adhesive and for general sealing. With good UV resistance and strength, it is also widely used as a roof tile adhesive. +/- 12.5 movement, 500+ PSI tensile, 560% elongation. Novatuff 300 Flexible Epoxy Sealant, 2-part Flexible Epoxy Caulking / Sealant, GRAY Color, Vertical Grade. For extreme environments. Chemical Resistant. 90% Solids, 200% Elongation. Paintable. Novatuff 350 Self Leveling Grade, Flexible Epoxy Sealant, 2-part Flexible Epoxy Caulking / Sealant, GRAY Color, Vertical Grade. For extreme environments. Chemical Resistant. 86% Solids, 200% Elongation. Meets USDA. Paintable. NP1 is a very popular solution for most construction caulking and structural sealant applications. 800% Elongation and 350 PSI tensile. Available pre-tinted in standard colors. It has superior adhesion and is suitable for +/-35% total joint expansion applications such as window frames, roofing tile, panel walls, parapets, vinyl siding, stucco, and in deck joints. NP-2 is custom color tintable and handles up to 2" joint width at 50% movement, and the cure can be accelerated; 280% elongation and 160 PSI tensile. SB-188 high performance silicone sealant is used to seal to silicone rubber surfaces and high-temperature, electrical applications, and extreme environments (-75F to +500F). SB-190 clear for super strength 2000 psi (cures more slowly in regular temperatures). Commonly used for snow guard. Not for expansion joints. 1-Part is a light gray, highly flexible, self-leveling moisture curing pourable sealer. Its 100% solid rubber, has no V.O.C. (volatile organic content), will not melt or shrink, is UV resistant and is resistant to deterioration. Novalink SL Self Leveling concrete expansion joint sealant is 100% solids (non-shrinking), solvent free (very low order on cure, suitable for indoors), quick curing (can apply down to -32F), and very cost effective. 300% elongation, 150 PSI tensile, abrasion resistant (pedestrian traffic suitable). Its a easy to use single-component product useful for joints up to 2" wide. Novalink is asphalt compatible (aged asphalt). SL1 and SL2 are great concrete expansion joint sealants and are used for public walkways, driveways, swimming pool decks, road expansion joints parking lot joints, pavement joints, driveway expansion joints, road joints, exterior deck expansion joints and such. SL2 is used for wide joints and is also tintable in 40 Standard colors and 470 custom colors. Sonneborn SL1/SL2 is not asphalt compatible. Sonomeric 1 is a single component Self leveling polyurethane sealant which is Jet fuel and resistant to many chemicals. It has 1200% elongation. House Stucco & Grout: Try Sonneborn TX1 caulking instead of NP1. It dries with a nice textured finish similar to stucco or grout. It's the same chemistry as NP1. TX1 is easy to tool with a consistent appearance. Its available pre-tinted in many popular colors. For above water line pool deck-to-wall grout repairs, both M1 and ULTRA are excellent. These sealants survive the stresses that cause mortar grout cracking. Ultra has excellent dirt pick-up resistance. Dirt and hard-water pool deposits are easily removed! NOTE: It is very important to keep the pool wall-to-deck interface waterproofed, as constant chemical and water exposure quickly corrodes the steel re-bar, resulting in structural damage. M-1 can be applied for in wet emergency repairs (resetting / re-grouting tiles) and will cure quickly. Where substrate adhesion is questionable, or in constant submersion situations, primers should be used. Primer-733 is an easy to use one-component solvent based sealant primer for use with urethane sealants applied to metal, wood and coated surfaces. Primer-2000 is easy to use one-component solvent based sealant-primer for use with Sonolastic 150 / polyether sealants applied to porous surfaces, concrete, grout, stucco and wood. For TPO roofing, TPO PRIMER is recommended. A favorite of many deck waterproofing contractors is Polyprime 2180. Its a 2-part epoxy-polyamine primer. For a easy to use on-component wood & concrete primer, try MasterSeal P 222 Primer. Uni-Tile Sealer is a two-component, quick drying epoxy-polyamide penetrating primer/sealer which penetrates and seals porous surfaces to improve adhesion -- excellent on concrete and pool decks. UNISEAL Primer is a one-component water based penetrating concrete sealer. Backer Rod is an easy to compress soft celled foam. It is inserted into a clean joint at required depth before caulking/sealing. Backer Rod creates an even depth and supports the caulk. The even depth is important to create the correct width-to depth ratio (~3:1) for the expansion joint. Select a backer-rod diameter that is about 25% larger than the nominal width of the joint. Backer rod sizing and installation information is at the bottom of this page. ASI-335 RTV Neutral Cure Silicone Sealant, in colors. ASI-502 Acetoxy RTV Cure Silicone Sealant, in colors. ASI-502AQ Aquarium / Underwater Sealant, in colors. ASI-600 High Temperature Silicone Sealant. Butyl Rubber MB-10A Tape Sealant is a premier high-temperature elastomeric butyl rubber sealant designed to meet the critical requirements of metal buildings. It also meets or exceeds all sealing requirements for window glazing, air conditioning, and refrigeration. Our MB-10A butyl rubber sealant is extruded on silicone coated paper for easy application. Barr Black color waterproofing mastic. Odor free for indoor use. A high-grade 99 solids shrink free, polyether based waterproofing sealant. Can be used in all types of applications, above grade, mechanical construction, and below grade. Compatible with asphaltic products and bitumen. Not UV resistant. Requires an overcoat in sun exposed applications. Duralink Rated best for all surfaces. Use in joints with up to +/- 50% movement; has 750 - 800% elongation; 250-300 PSI tensile. Silyl-terminated polyether formulated for superior adhesion to surfaces. Available in 10 popular colors to match siding, metal roofing. Provides exceptional adhesion to Kynar coated metal materials, along with standard metal, aluminum, steel, galvanized, bonderized surfaces, siliconized paint, plastics, marble, glass and more. Non-staining on any surface and is paintable. DuraSIL Neutral Curing silicone sealant with good adhesion, +/-50% joint movement, for windows, door metal siding, extreme temperature environments (-80F to +400F). NOT paintable. Can stain porous surfaces. Epolith has 75% elongation, 655 psi tensile, 85 shore A hardness and is a 2-part epoxy, formulated for filling saw-cut joints in concrete floors. Provides a puncture and abrasion resistant seal. Fastpatch EFC-25 or -50 has 800% elongation, 500 psi tensile, 40-50 shore A hardness and is a 2-part quick setting self leveling poly-urea sealant. Its jet fuel resistant (and other chemicals). Its formulated for filling control and saw-cut joints in concrete runways. Provides high chemical and abrasion resistance with a very quick return to service. M1 Structural Sealant has 300% elongation, 300 psi tensile, 50-55 shore A hardness (hard), solvent free and is a Silyl-terminated polyether. Formulated to stick well to polymers, EPDM, glass, masonry, grout, etc. Will stick to TPO with TPO PRIMER. Suitable to wet application repairs including resetting pool tiles underwater. MasterSeal CR 195 (formerly Ultra) is a one-component, moisture-curing, aliphatic, non-sag, high strength polyurethane sealant for security and institutional uses requiring elasticity, superior color integrity, dirt pick-up resistance, resistant to mechanical cleaning and enhanced long term UV resistance. It is also excellent for pool decks, swimming pool deck-to-pool wall interfaces. MasterSeal CR 195 is capable of withstanding 25% movement in joints, yet has a Shore-A 50 hardness for pick-resistance in security applications (prison windows, schools, public buildings) and other areas needing a very tough tough product. MasterSeal NP 125 (formerly Sonolastic Clear 25) has excellent adhesion with a tensile of 320 psi (very strong), 560% elongation, 50 Shore-A hardness and is suitable for 25% total joint movement (+/-12.5%). MasterSeal NP 25 is excellent for any area needing long term UV resistance, such as roof tile adhesion, snow guards and any exterior or interior area you need a high performance, clear, non-staining product. It bonds readily to glass, stucco, concrete, roofing tiles, wood, most paints, and most metal surfaces. MasterSeal NP 25 is paintable in just an hour! MasterSeal NP 150 (formerlay Sonolastic 150) has 1200% elongation, 220 PSI tensile, 17 Shore-A hardness, extreme UV performance, USDA Food service rated, +100/-50% joint movement capability and is a Silyl-terminated polyether and available in a wide variety of colors. Paintable. Novalink Sealant is 100% solids, solvent free and provides great performance. It has 300-400% elongation, 175 psi tensile, zero shrinkage, solvent free, quick curing, easy to gun and tool, Silyl-terminated polyether formulated to stick well to most construction materials. Handles +/- 25% joint movement. It also cures quicker and guns well in cooler temperatures (down to 30F). Not recommended for Kynar painted metal roofs (use Duralink) or to EPDM (use M1). Novalink SL Self Leveling concrete expansion joint sealant is 100% solids (non-shrinking), solvent free (very low order on cure, suitable for indoors), quick curing (can be applied down to -32F), and is very cost effective. 300% elongation, 150 psi tensile, high abrasion resistance (pedestrian traffic suitable). Its an easy-to-use single component product useful for joints up to 2" wide. NovaTuff C-300 (Formerly AES-300) Paste grade, 2-part epoxy sealant, 200% elongation. 90% solids, UV resistant, permanent waterproofing. Jet fuel, gas, diesel and chemical resistant. Suitable for ponding water, below grade, underwater repairs of all kinds. Can fill small gaps and cracks. Self priming. Paintable. NovaTuff C-350 (Formerly AES-350) Self Leveling grade, 2-part epoxy sealant, 200% elongation. 90% solids, UV resistant, permanent waterproofing. Jet fuel, gas, diesel and chemical resistant. Suitable for ponding water, below grade, underwater repairs of all kinds. Can fill small gaps and cracks. Self priming. Paintable. NP1, NP2 & TX1 by BASF MasterSeal, are the work-horses of the industry. They have 800% elongation, 350 PSI tensile and +/-35% joint movement capability and 25 Shore-A hardness. The are rated for water immersion (with use of primer). Canadian and USDA compliant for meat and poultry areas. US Fire Rated: Passes 4 hour, 4 inch, fire and hose stream test. Polyurethane based, UV protected and available in a wide variety of colors. NP2 can be custom color in 40 Standard Colors and 470 custom colors tinted and the cure can be accelerated in NP2. SB-140 is a architectural grade butyl sealant for skylights, windows and general sealing. It has outstanding adhesion to a variety of materials. Standard in gray or white. SB-188 is a silicone rubber sealant with a temperature range of -75F to +500F, tensile of 350 PSI, Elongation of 500%, 25-28 Shore-A hardness, cures in 24 hours. Paintable. Standard in red. Available in colors. SB-190 has a tensile of 2000 PSI, Elongation of 500 %, 70-80 Shore-A hardness, tack-free in 18-24 hours and fully cured in 28 days. Min application temperature 50F. Dries clear. Paintable. Pick-Resistant. Sonomeric 1 is a single component Self leveling polyurethane sealant which is Jet fuel and resistant to many chemicals. It features 1200% elongation, and exceptional weather resistance. Used for airport runways, highways, bridges, stadiums, industrial floors. TF-100 has 470% elongation, 1975 psi tensile, 85-90 shore-A hardness and is a 2-component polyurea, formulated for filling saw-cut joints in concrete floors. Provides a high load seal to resist forklift and hard wheel traffic. Also works well to fill random cracks. Weathermaster Siding and General Purpose Exterior Sealant is available in more than 200 colors to match most siding and architectural requirements. Adheres to sidings, widows, door, wood, fiberboard, vinyl, aluminum, metal, brass and other common building materials. Easy to tool. Handles up to 1" gaps. Paintable in minutes. USDA approved. 12 tubes/case. Selecting the right sealant or caulk for your exterior application can be confusing. Over the past decades, many improvements have been made and new chemistries developed enabling greater performance and expanded applications. Caulks vs. Sealants: Some manufacturers use the terms "Sealants & Caulks" interchangeably. Sealants are designed to seal an interface which has movement. Caulks are designed to fill a gap. Sealants are designed to create a long-term seal that stays intact and prevents moisture ingress and are UV resistant. Sealants deal with greater joint movement, extreme temperatures and have very low shrinkage. Class A sealants have +/-25% joint movement capability. Polyurethane (urethane) based sealants are now the most widely used product in the roofing and waterproofing industry due to their super adhesion and toughness. Today, polyurethane sealants (still called caulks by many) are specified for most roofing and waterproofing details. They are used extensively in flashings, termination bars, reglets, copings and pitch pans. Upgrades from this are polyether based sealants which can have +/- 50% to +100/-50% expansion capability. Examples include Sonolastic 150 VLM. Exterior grade weatherproof sealants, such as NP1, TX1 and Sonolastic 150 are high performance polyurethanes which have excellent performance for sealing most interfaces. "Painters caulks" are price-driven products serving markets where performance is subordinate to economy. Painters grade caulks have limited movement capability; usually less than 12 percent movement before cracking, delaminating, peeling or permanently deforming. Painters caulks shrink quickly over time and have limited (short-term) weathering properties (poor UV resistance). They are NOT DESIGNED FOR long term UV exposure. Painters grade caulks are are based on less expensive polymers such as linseed oil, polybutene, asphalt, butyl rubber, SBR rubber, vinyl acetate and acrylic latex. Do not use these products in exterior applications or where joint movement can be greater than 12%. Sealants are a different class of product designed for exterior use and long term performance. Very high-performance sealants are 100% solids and chemistries are based on Silyl-terminated polyethers. Phil Georgeah, founder of Chemlink, comments "(painters) caulk becomes hard & brittle and cracks, splits or severely chalks within three years. These caulks often shrink, sometimes losing up to 30 percent of their volume from solvent loss, condensation or oxidation. Shrinkage applies excessive stress at the interface between the construction material and the caulk mass. (Painters) caulks generally exhibit fair to poor adhesion on construction materials. Adhesion failure gets worse with increased volume shrinkage. Most caulks are designed for the do-it-yourself market." Although silicone sealants generally have good adhesion, they do not always perform well in roofing or stucco applications where heat and oil migration from roofing substrates or house-wraps tend to degrade adhesion. Silicones also do not provide good long term paint adhesion and are difficult to repair (silicone does not like to stick to cured silicone). New on the market are sealant chemistries such as Polyether which have very aggressive bonding to most materials, skin over, cure faster than silicones and many older urethanes and are odor free. They exhibit very little dirt pickup. These products bond like traditional silicones but are both paintable and more cost effective. Polyether sealants with VERY low modulus (soft) are also now available. For example Sonolastic 150 VLM. These low-modulus materials are capable of up to 1,200 percent elongation and offer far greater durability in applications with great movement than either standard silicone or urethane. In addition, very little moisture is required to trigger a rapid polymerization reaction in polyether sealants, so they cure quickly too. EIFS Construction and Joint Design: See the EIFS Guide for details. Trouble-free EIFS application is accomplished by forming a 1/2" to 3/4" sealant gap wherever EIFS meets a non-EIFS material, such as roofing, trim, or doors and windows, according to the EIMA EIFS Guide. The correct gap makes it possible to finish the exposed edges of the expanded polystyrene, which should be wrapped with reinforcing mesh before the EPS is secured to the sheathing with a waterproofing application of base coat. Then the rest of the finish goes on. Finally, the gap is filled with soft or closed-cell backer rod and a bead of compatible sealant. Novalink Polyether Sealant is an excellent sealant for this applications. Textured Sealants are also available which cure textured to look stucco-like. Install all joint applications per ASTM and SWRI recommendations and guidelines. Joints shall be designed with a depth to width ratio of 1:2 (joint depth one-half the width). It is recommended that the joint shall be no less then 1/4" wide by 1/4" deep (6 mm x 6 mm). The maximum depth of sealant shall be 1/2" (13 mm). The maximum width is 2" (certain materials; some are limited to 1"). Control the depth of the sealant by using a backer rod that is 25% larger then the joint opening at 75F temperature. Where the joint configuration will not permit a backer rod, it is recommended that an alternative bond breaker be used. Prevention of three-point adhesion is necessary through the use of a backer rod or bond breaker tape to ensure proper joint movement and a long lasting weatherproof seal. Guide to EIFS Joint Design. 1. Where priming of the surface material is necessary, primer should be applied only to the sides of the joint surfaces and allowed to dry tack-free before the Backer-Rod is placed. DO NOT prime the Backer-Rod. 2. 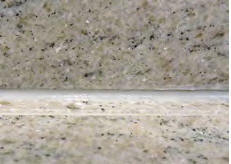 Follow suggestions for joint-sealant application as directed by the sealant manufacturer. 3. Tool to desired shape using a caulking tool or old spoon. Hint: For polyurethanes, wet the tool regularly with water or toluene to enable a smooth surface. Soapy water is not recommended as some soaps can interfere with joint bonds. 4. Most products need 24 hours minimum cure before applying any type of over-coating. Follow the manufacturers recommended cures. HINT: For those not who are not professional applicators, use masking tape on surfaces where you do not want sealant. It is very difficult to remove from unwanted areas.